Madonna has released her new album, “MDNA,” and fans can expect to see plenty of her in the coming months. The pop icon’s world tour starts May 29 in Tel Aviv, Israel, with North American dates beginning August 28 in Philadelphia. 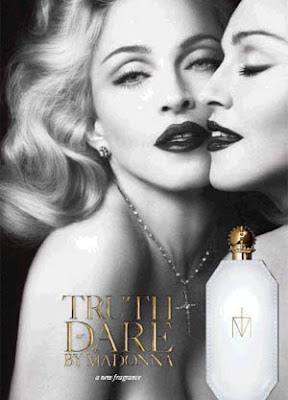 Next month, Madonna launches her first fragrance, Truth Or Dare, which will be available exclusively at Macy’s. TOD will come packaged in a geometric white bottle, with gold trim. The Material Girl also expounded on the idea of scent being tied to memory, saying, “There is something primal and mystical about the sense of smell. It connects us to memory, nostalgia and the ability to dream and fantasize. I have always been obsessed by fragrance and for years wanted to create something personal that was an expression of me, but that other people could relate to as well. Something classical and timeless and yet modern." Now, the first commercial for the new product line has surfaced.